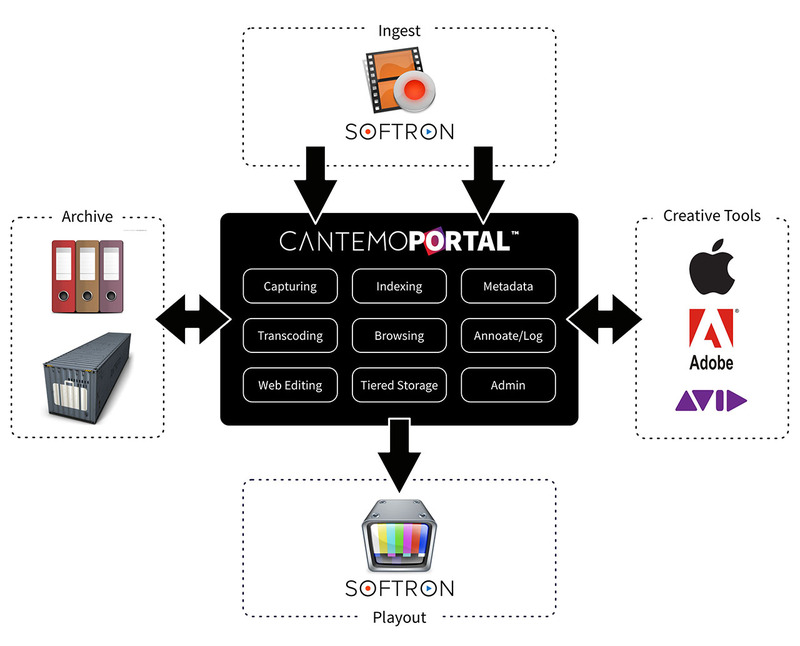 Seamless integration between Cantemo Portal™ and Softron Record and Playout solutions ensures a seamless media workflow for all media content. It combines Cantemo’s extensible, future-proof, intelligent and easy-to-use Media Asset Management solution with Softron’s flexible software and hardware solutions for ingesting video as well as for live, 24⁄7 and automated playout. Seamless workflow for entire media lifecycle, from ingest, through management and editing, to playout. Supports multiple versions to multiple destinations. As the world of content continues to evolve, content owners and media creators are under increasing pressure to deliver that content to multiple platforms, often in a short timeframe. Of course, when broadcasting live events, that process from capture to playout has to be even more reliable. With this combined solution, users can record multiple channels on one single Mac, to multiple destinations. The files are immediately available, as soon as you start recording. Files are also given initial metadata in the Softron Ingest solution and automatically ingested into Cantemo Portal for easy media management. From within Portal, users are able to add additional metadata, easily search and share media files with colleagues for review and/or approval, as well as editing media through integration with creative packages, such as Apple Final Cut Pro 7, Apple Final Cut Pro X and Adobe Premiere Pro. The files can then be distributed from within Portal to be played by Softron’s Playout solution, either for a Live show in a simple playlist, or in a scheduled playout for 24⁄7 broadcast by a TV station. Cantemo Portal has been built with the concept of start small, think big, scale fast. By using Cantemo Portal as the core asset management solution and bringing in other expert solutions for different elements of the media lifecycle, users can gain streamlined system to handle the entire lifecycle. The integration between Softron and Portal ensures a smooth and efficient process, from ingest right through to playout. Softron has been providing Mac-based video and audio solutions for over 30 years. Softron applications are in use by video professionals around the world and have been used to broadcast everything from World Cup and Olympics to regular television programming. Softron applications offer intelligent and easy to use interfaces. The company is dedicated to providing the highest professional quality video support for Apple’s Macintosh platform. Softron applications are available online and by Apple ProVideo specialists throughout the world. For more information, visit softron.tv.